Welcome back after the bank holiday. Listed for 1.5 days from today in Courtroom 1 is the appeal of R (AA) v Secretary of State for the Home Department. The appellant, an Afghan citizen, had arrived in the UK unaccompanied with no supporting documents to verify his age. He unsuccessfully applied for asylum and ended up being detained prior to deportation by the SSHD, who relied on an age assessment by social services which determined that the appellant was 19. Following the commencement of judicial review proceedings another age assessment found the appellant to be a child, which the SSHD then accepted. 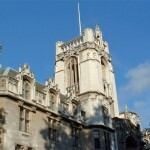 Both the High Court and Court of Appeal rejected the challenge of the decision to detain the appellant and his claim for compensation for the following reasons – at the date of his detention, it had not been established that the appellant was a child; the SSHD’s detention power was wide enough to permit the detention of a person not established to be a child, and the duty to treat the child’s best interests as paramount did not apply; and the principle of giving the individual the benefit of the doubt did not apply here. The Supreme Court will determine whether it is lawful to detain a person with a view to removing them on the mistaken belief that the person is an adult, and if the statutory power to detain should be read in conjunction with the Borders, Citizenship and Immigration Act 2009 s 55. Wednesday 8 May is the State Opening of Parliament, and because of this judgments will be handed down on Thursday 9 May 2013 instead. 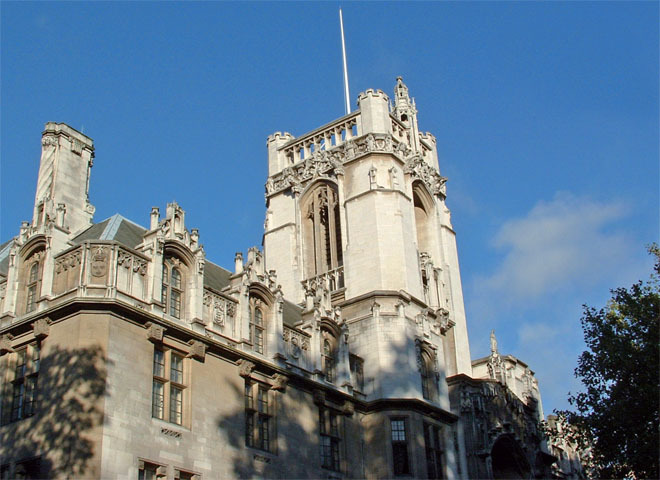 The Supreme Court will hand down judgment in the following this week: Futter & Anor v The Commissioners for Her Majesty’s Revenue and Customs, and Pitt & Anor v The Commissioners for Her Majesty’s Revenue and Customs; SL v Westminster City Council; and BNY Corporate Trustee Services Ltd & Ors v Neuberger Berman Europe Ltd (on behalf of Sealink Funding Ltd & Ors), BNY Corporate Trustee Services Ltd & Ors v Patron EMF S.A.R.L., and BNY Corporate Trustee Services Ltd & Ors v Eurosail-UK 2007- 3BL PLC. On Thursday 9 May 2013 is the appeal of R (Sturnham) v Parole Board for England and Wales & Anor. There are currently no case details available for this matter. Commissioners for Her Majesty’s Revenue and Customs v Marks and Spencer PLC, heard 15 April 2013. Public Prosecution Service of Northern Ireland v Elliott and Public Prosecution Service v McKee, heard 22 April 2013. Vestergaard Frandsen A/S (now called mvf3 Apps) & Ors v Bestnet Europe Ltd & Ors, heard 24 April 2013. Leave a reply on "In the Supreme Court w/c 6 May 2013"